Are these 2 teapots Crown Lynn? No they are English. and the two together. Different shapes and sizes, but only the body looks similar to Crown Lynn. The spouts and handles don't. 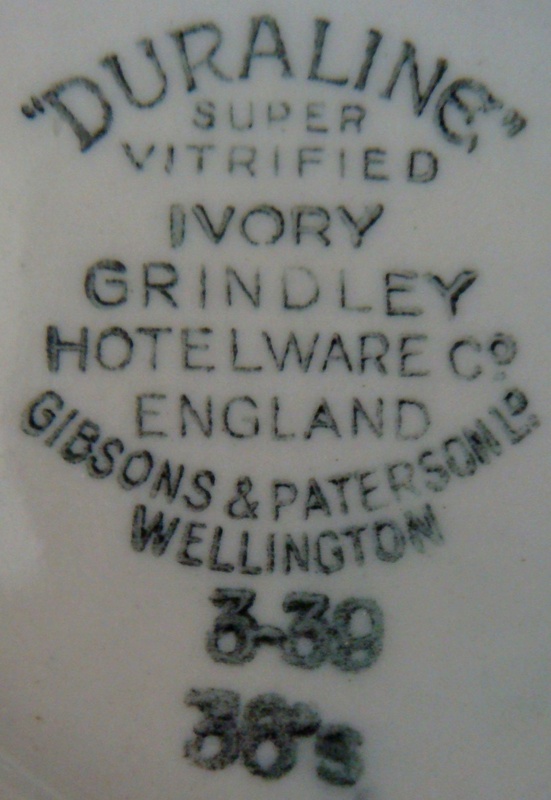 Go to <http://www.thepotteries.org/mark/g/grindley.htm> to see some more info. The 3 39 and 10 46 could indicate that they were made in March 1939. and October 1946 and imported by GibPat for the New Zealand catering trade market. Saw quite a stack of plates with the same backstamp last year in a 2nd hand shop. Further to my earlier post today on this subject here is a link to the gallery which gives more info including a very informative history on Gib Patfrom TonyK. 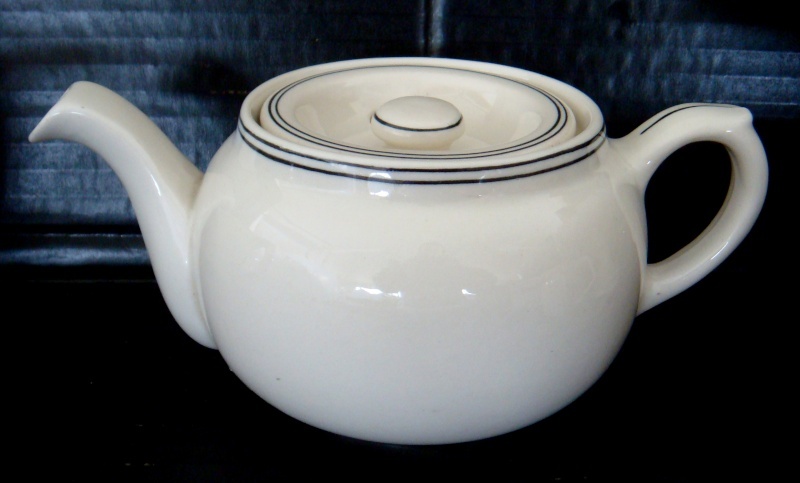 Re: Are these 2 teapots Crown Lynn? No they are English. 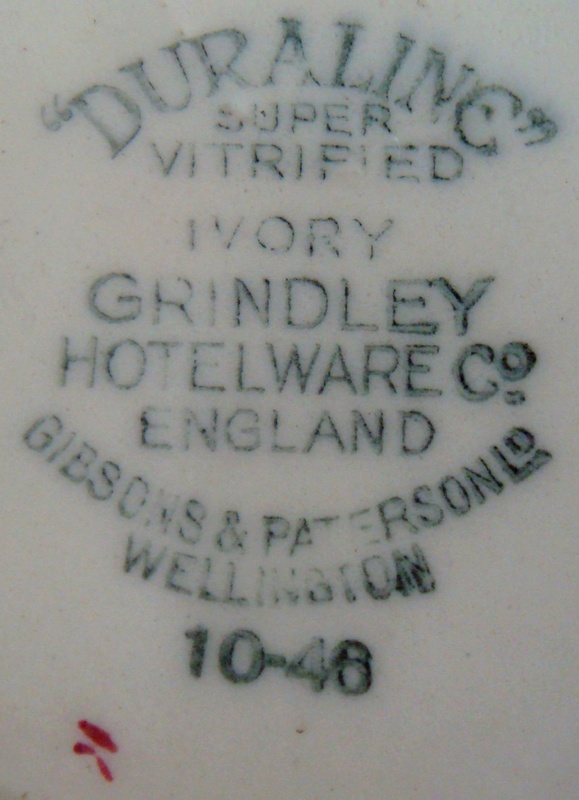 I picked up and looked at a bowl that I found at the op shop, thinking, CL double red line, turned it over and yep, had the same english mark as above. So it seems that there is a british counterpart. Nothing is original it seems! 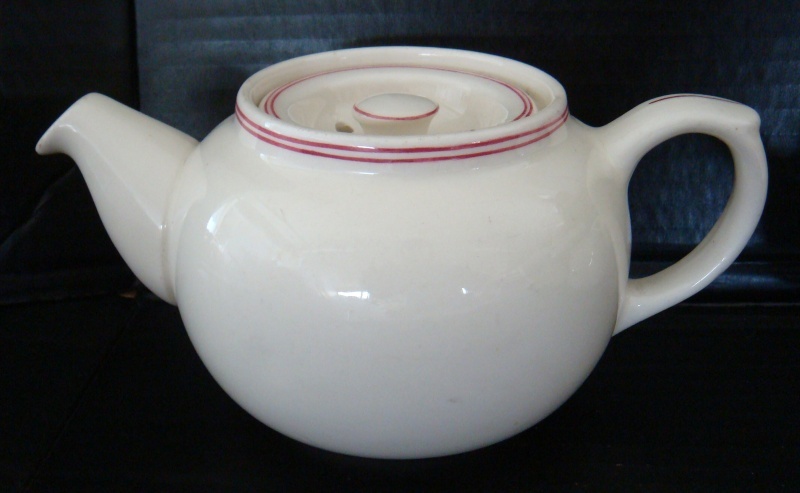 Would love to find a teapot with the red lines. I have quite a wee stash of that pattern now, cups bowls and plates. My daughter-in-law says that the bowls are just the right size for her new dishwasher, the manufacturers of which seems to have ignored the fact that modern dinner set pieces are quite large! 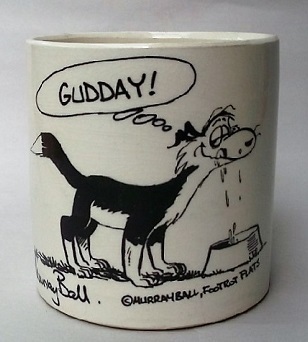 forgot to say that I also have a cup in the same style as this with one orange stripe. I have no idea where that one was used??? Thanks for that Ev, I will remember that for next time I see that gibpat mark.